When school's out or we've graduated and are on our own for the first time, it is easy to feel lost, overwhelmed, or uninspired if no clear goals are in sight. What I've learned about the in-between times is that they provide an opportunity for a core learning experience to occur. The continuous stream of education during school is crucial and highly influential, but the moments we seek on our own, outside of our norm, are significant as well. In the summer after the first year as an undergraduate, I attended my first master class with Gary Schocker. This was a turning point for me, because I was introduced to the Alexander Technique. The positive experience was a huge burst that stayed with me through my degree. The following summer, I attended ARIA, a more intensive class with greater challenges. A repertoire list was provided with a list of excerpts, pieces, and etudes, some I was unfamiliar with. I took it upon myself to learn as many as possible. Summer before graduate school, I started this blog! This began as a means of continuing to improve on my own. In the summers between undergrad, I knew what to expect each year, and knew what I could work on. Before grad school, I had a repertoire list as a guideline for auditions, which spent a lot of time preparing. (Another source of structure that was fundamental to my motivation to continue growing.) I also used this blog as a means of turning my experiences into coherent ideas for teaching, in preparation for becoming a teaching assistant. Attending FSU and delving into my interests in working with body awareness and teaching are the culmination of my summer experiences, and continue to inspire me to practice and teach with intention. While we cannot ignore the monumental, life-changing experiences, they can be expensive and harder to come by. Sometimes, we think about about practicing, decide we don't want to, then feel guilty. We get into a rut, and the more days in a row we feel the guilt, the deeper we get. There are small decisions we can make that jolt us out of a rut, and lead us to an inspired practice session. 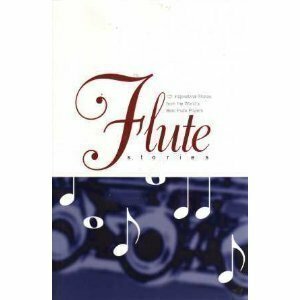 Or, open this book up and hear from a flute hero! When I began feeling overwhelmed with the work-life balance after graduate school, I simply wouldn't practice. I did not want to know what I would sound like, and I felt extreme guilt. I no longer deserved to play my instrument, and I had lost time. I ultimately needed to accept my new environment, carving out a space to return to practicing. Time away is okay. I have heard many teachers and musicians state that time away is beneficial, and when we return, we're often refreshed and better than before. (I now believe them because I've experienced this myself more than once since then!) It is okay to feel guilt, it is okay to be frustrated - it is normal. It is an emotional process to go through a rut, but it is a pivotal time to uncover what truly motivates you. Trust in the journey of acceptance, and trust that you're simply in-between. There is always something new on the horizon, and when it happens, it will mean that much more.